Everybody heard the news and keep asking me, “Why are you moving to Texas?! When are you coming back?” My answer begins with another question: Do you want the short answer, or the extended one? Short answer: I’m broke and there’s work available there. That’s not good enough for you vultures though (I say that in the best way possible; I really love vultures http://en.wikipedia.org/wiki/Vulture) Since this is a public blog, I suppose I’ll try and find and extended enough answer to satisfy. Where to begin? As most of you know, Tommy and I are broken up. This came as a shock to most of our friends and surrounding music community. It may seem weird to break up a 6-year relationship, as well as the marriage engagement, true. But think about this—we were a pretty weird couple to begin with. How many couples do you know that started dating in highschool, formed a band, and are still together? I know it seems odd for me to leave such a great, smart, sweet, attractive guy after 6 years; stupid even. It barely makes sense to me either, but someday it will. (Who knows, maybe I’m homosexual? Nah… I wish though. I’d never have to worry about getting pregnant). Tommy and I have been and always will be the best of friends with many of the same goals. We have a positive outlook on what this experience will do for the band and how we’re to approach our songwriting from here on out. “What’s this? A new way? I would have preferred a place a little closer to home, and ANYWHERE but Texas (or maybe California). It’s hot, drunks everywhere, everything’s bigger for the sake of being bigger, everything has it’s own special TEXAS stamp (“Lone Star” Bud Lite for example). It’s practically it’s own country. And it’s so proud of itself for it. Turns out though, Texas has a booming economy with a lush job market. On top of that, I have places (yes, that’s plural) to stay and a truck to return to it’s owner. You see, when my cousin Mike came back to Michigan after working in Texas for the past few years, his boss Gino let him take his work truck that Gino owned. Since Mike can’t send Gino money for the truck, he has to return it, and that’s where I come into that picture. 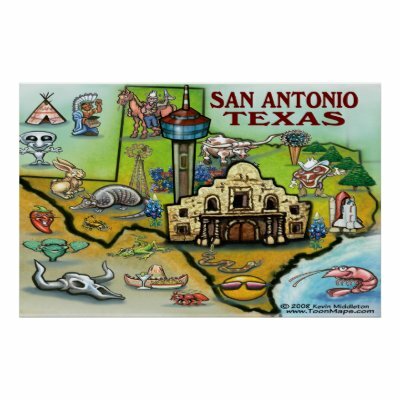 San Antonio. One of the more southern large cities of the Lone Star State. I’d prefer Austin since that’s where the music scene thrives, but it’s not too far I guess. I will make visits. Who will you stay with? My cousin Mindy lives there with her husband and baby. I also have a list of friends of Mike’s that are happy to help me out. Are you going alone? Who’s going with you? My dear friend Jeremy is going along with me. Before Christmas. I could go without Christmas personally, but my family is already unstable enough. Plus I’d miss the snow. After the holidays, The Plurals will begin recording our next album at the GTG house and Crooked Sound Studios. We’re currently recording demos of all the songs so we can be familiar with them when we record them for real. I’m so excited for this next album too… it’s going to be a masterpiece. It’s kind of up in the air after that. If all goes well, I may go back and keep working, and continue to chime in on what ever tracks are added on top of my drum tracks. I may stick around. I may go to New Jersey or Antarctica or someplace. It’s hard to say. In the meantime, we’ll be booking our spring tour which is set for March 4-14th. “Are you sure you’re not running away from something?” is another big one that some people have asked me. Yes, I do feel the need to get out of town for awhile, not just because of family or the ex-boyfriend, but for a change of scenery I suppose. It would be nice to be made aware of a new perspective. I’m looking forward to it very much, even if it’s not my ideal place to be. Unlike some Michiganders, I’m pretty happy with the mitten and will always call it home. So that’s what I have to say about that. If you want to write me while I’m away, please do! My email is hattiedanby@gmail, or of you [refer to write an old-fashioned letter, I’ll be posting my Texas address as soon as I know it. I’m going to miss everybody very much, especially my GTG and BMP family that I love so much. See you at the end of December!! Answer your phone sometime, you know, whenever you get a minute. It’s just nice to hear from you. Take care Hattie!